This page covers the author of Getting Things Done: The Art of Stress-Free Productivity [revised, 2015]. For other authors named David Allen, see the disambiguation page. David Allen discusses Making It All Work: Winning at the Game of Work and Business of Life. David Allen reads from Making It All Work: Winning at the Game of Work and the Business of Life . 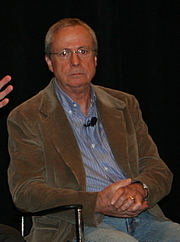 "David Allen" is composed of at least 20 distinct authors, divided by their works. You can edit the division. David Allen is composed of 6 names. You can examine and separate out names.